Vespa Scooter P125X P150X P200E Service/Repair Workshop Manual on CD. A Must-Have for a Vespa PX-Series Scooter Owner. Plus REE BONUS MATERIAL (read below). This is NOT a paperback book manual, you are purchasing a CD. The Advantages of this Service/Repair Manual on CD. Do It yourself & save money! DO NOT BE FOOLED WITH INCOMPLETE SERVICE MANUALS THIS UPGRADED CD CONTAINS 2 [PDF] SERVICE MANUALS More than 173+ PAGES plus BONUS MATERIAL! +THIS CD CONTAINS 10 MORE BONUS HELPFUL PDF FILES OVER 800+ PAGES w/the BONUS MATERIAL! More than 535+ SCHEMATICS/CHARTS/DIAGRAMS ON THIS CD! 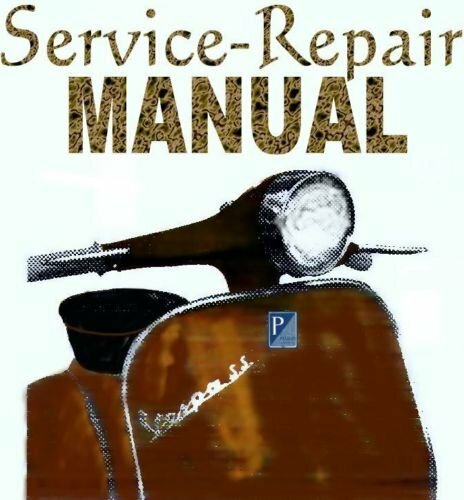 Vespa P125X Service Repair Manual. Works in PC windows & Mac.